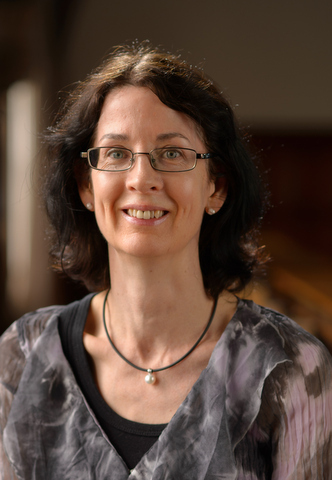 Deborah is a sociologist in the department of Sociology and Social Policy at the University of Sydney she provides social commentaries on current issues, informed by key sociological writings. She specialises in the sociology of medicine and public health, risk, the body, parenting culture and childhood, food, obesity politics and critical weight studies, the emotions, and digital sociology. Deborah has written 12 books and over 110 academic journal articles and book chapters on these topics. Her blog can be found at http://simplysociology.wordpress.com/ In addition Deborah can be contacted by email on deborah.lupton@sydney.edu.au and my Twitter handle is@DALupton. I have recently discovered Pinterest, a social media platform which has recently become very popular. The concept of Pinterest is overwhelmingly visual and draws upon the idea of older techniques of collage or scrapbooking: collecting interesting images, grouping them together under a theme and displaying them to others. As a visual bookmarking site, self-described as a ‘virtual pinboard’, Pinterest allows users to ‘pin’, or transfer digital images to an interest ‘board’, or webpage that they make themselves and give a title to. The images are then collected together on this board and made available for others to see. Users may ‘repin’ images from other people’s boards, pin images they have found on other websites or use images of their own (their own photographs or infographics, for example). A wealth of high-quality and diverse images are available to use for Pinterest purposes. One important feature of the site is that each pinned image has a commentary box below it which allows the user to provide details of the image or comment on it. There is quite a bit of space provided for such commentary: up to 500 characters. The website is set up so that pinning or repining is extremely quick and easy. Users can install a ‘Pin It’ button (bookmarklet) on their computer so that when they come across an image they wish to use it is simply a matter of clicking on the button and the image is added to one of their specified boards. Other people may ‘follow’ boards, comment on them and may be invited to contribute pins to them. When I first investigated Pinterest it seemed that it was simply a forum for people to collect and post images of cute children or animals, fashion outfits, holiday options, objects they would like to buy, home décor, wedding ideas, recipes and so on. These do indeed seem to be among the most popular of board topics and the website’s own description of what it offers focuses on these kinds of uses. However the platform is becomingly increasingly used not only used for private purposes, but also to publicise commercial enterprises or sell goods, create employment resumes and even for political campaigning. I notice that school teachers have also begun using Pinterest to display lesson plans and collect relevant material for their work to share with other teachers or with their students. It seems that few academics are using Pinterest at the moment, or have even heard of it. But closer inspection and reflection on the capacities of the platform led me to think that Pininterest had the potential to be a very useful tool for sociological research and teaching (as well as for other academics in the humanities and social sciences). To display images which are related to the topic of a book or research article you have published. The weblink for the relevant board can be given in the article or book so that interested readers can view the images which you have collected on that topic. The commentary box allows you to provide some analysis or contextualising material under each image. To display infographics: data represented as graphs, tables, social maps, flow-charts and figures relevant to the board topic. As a repository for images you have collected that can be used and analysed as part of a current or planned research project. To display images of book covers written by others on topics related to your boards that you have found especially useful or interesting. Boards can be used to publicise and promote your own academic writing. This only really works with books and blog posts or website pages, given that Pinterest is overwhelmingly a visual medium and has limited space for text. However if you wanted to promote your research article, you could include an image of the journal’s cover and give the title of your article in the commentary box below, along with a link to its online version. Universities or individual academic departments or research groups can set up their own Pinterest sites and use boards to promote research and teaching initiatives. Engaging students and promoting their understanding of the visual and cultural dimensions of a topic by asking them to make their own boards and curate images relevant to a topic, or together contribute to one big shared board. Part of this activity could be asking students to provide analytical commentary for images, or to write an accompanying essay that analyses the images or contextualises them in relation to academic scholarship on the topic. Collaborating with other academics to share ideas and resources for teaching. Last, there is the opportunity for sociologists and other social scientists who are interested in researching digital cultures or commodity culture to use Pinterest boards that others put together as a source of research data. The questions of why Pinterest is currently so popular, what types of photographs and topics are selected by users and what all this may imply for concepts of identity and the presentation of the self, media use, social relations and so on offer great potential for academic research. Some commentators on blog sites and newspaper opinion pages have already begun to speculate about how and why users are using Pinterest. One commentator has argued that using Pinterest to display commodities one would like to buy is a kind of ersatz consumption, satisfying the desire for the real thing and therefore replacing consumption (‘Can Pinterest and Svpply help you reduce your consumption?’). Others have commented on the representation of women’s bodies on Pinterest boards (‘Pinterest’s Thinspiration problem’ ) and how women use Pinterest (‘Pinterest and feminism’). It has been suggested that Pinterest allows users to display their taste to others (‘The real reason Pinterest is so popular’) and engage in creative pursuits involving the collection of striking or beautiful images, just as people once enjoyed making collages, photo albums, scrapbooks or collecting and displaying stamps (‘A picture gets a thousand likes’). So far I have made seven boards of my own on Pinterest. Each of them is related to a recent or current research topic. For example, the third edition of one of my books, Medicine as Culture: Illness, Disease and the Body, was recently published. The book discusses the ways in which medicine, health and illness are understood, represented and experienced via social and cultural processes. There are many examples in the book of the ways in which medical practitioners, patients and particular illnesses or diseases have been represented in popular culture. I have created a virtual pinboard that I have entitled ‘Medicine as Culture’ and collected images there that are relevant to the subject matter discussed in the book. Images on this board include an 18th century wax anatomical model of a skull, doctors from medical television shows, doctors working in a surgical theatre in different historical eras, contemporary and historical anatomical drawings, plastinated bodies from the BodyWorlds exhibition, digital m-health technologies, artistic representations of the body, anatomy and illness, health promotion campaign materials and the pages from a latter-day doctor’s journal. I also included images of the cover of my Medicine as Culture book and other related books I have published, as well as books by others which were seminal to my own work in this area. The Sociological Cinema: many boards, including ‘The Environment”, ‘Social Theorists’, ‘War and Military’, ‘Gender and Physical Violence’. ‘Teaching Sociology’ and ‘Bodies’. Sociological Images: includes a range of boards on topics such as ‘Racial/Ethnic Objectification’, ‘Deconstructing Disney’,’ Social Construction of Everything’ and ‘Social Construction of Race’. LSE Review of Books: boards include such topics as ‘Sociology and Anthropology’, ‘Politics and International Relations’, ‘Philosophy and the Humanities’ and ‘Urban Studies and Architecture’. Prof Jess: her boards include ‘Sociology of Emotion’, ‘Sociology (Music)’ and ‘Sociology of Sport(s)’. Further information about Pinterest for beginners can be found here.